Williams chief designer Ed Wood has left the team in the wake of their disappointing start to the season. Williams, who are last in the constructors' championship with no points after four races, said Wood's departure was for "personal reasons". The team embarked on a new design philosophy this season with the hope of moving up the grid. But the car has failed to live up to expectations and the team are working to understand what has gone wrong. A spokesperson said: "As chief designer, Ed has been instrumental in many successes during his time with the team, including the FW36 and FW37 cars which secured third place in the constructors' championship in 2014 and 2015. "The team would like to express its gratitude to Ed for his hard work over the past 12 years; his experience, skill and passion for engineering have been a huge asset." 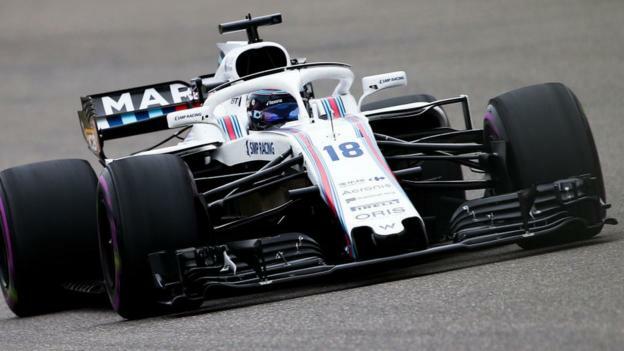 Williams' cars have in recent years been notable for their strong performance on tracks that have a high power-sensitivity - where engine power is more important in overall lap time than on other circuits. But they have not been able to generate enough overall downforce to work as effectively on slower tracks such as Monaco and Singapore or tracks where aerodynamic efficiency is more important, such as the home of this weekend's Spanish Grand Prix, the Circuit de Catalunya. In trying to amend this, the team have ended up with a car that is slower on the straights because it has more drag but has not gained a commensurate amount of performance in corners. The team also have two inexperienced and unproven drivers in rookie Sergey Sirotkin and sophomore Lance Stroll, which makes it difficult for the team to be sure whether the drivers are exploiting the car to its maximum.